Three Protestant members from Unión Juárez village, La Trinitaria municipality in Chiapas State were physically prevented from entering the village on 31 August and one was arbitrarily detained for 24 hours. 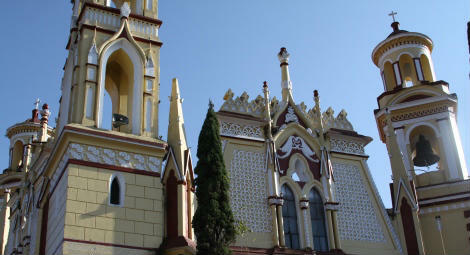 The events in Unión Juárez follow the arbitrary detention of three other Protestant men on 22 August in Nuevo Las Tacitas, Ocosingo municipality, Chiapas State. The three men, who belong to the Presbyterian Church, were detained as they arrived to the home of a local family to celebrate a religious thanksgiving day. They were imprisoned and ordered to pay a fine. According to COOC they refused to do so and the musical instruments they were carrying were confiscated. The men were freed after 24 hours but the instruments were not returned. COOC reports that the government has not moved to hold local authorities to account for their illegal actions in either case. Herrera has also expressed concern that 27 families in Unión Juárez have had their electricity cut and access to clean water blocked for almost a year and a half because they declined to participate in Roman Catholic religious festivals. Many of the villagers now suffer from health problems because of their lack of access to clean water. Although the State Government has been slow to act, Herrera added that officials have promised to resolve the situation by mid September.